The TDL series of drying loaders integrate plastic drying and loading injection moulding machine which are placed in height limited workshop. This combination offers a group of standard micro-switch hoppers which can be used to load dried materials. 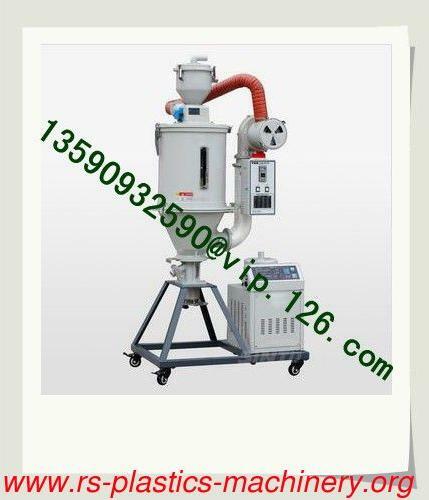 Which can be used to load dried materials. 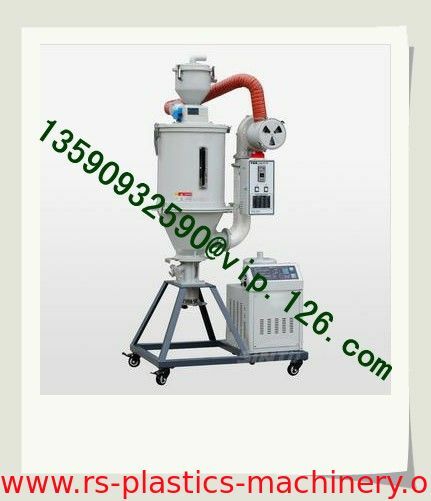 Besides, TAL-900G is available for choose to realize the two-stage loading function. Takes little space and easy for transportation and replacement. Adopts proportional deviation temp. Indicating controller which controls the temperature accurately. Stainless steel hopper ensures no material pollutions. Equips with alarming light to show faults at once. Hopper separated form its base,ensures cleaning conveniently. Environment protective hot air recycling device can save energy up to 40%, without hot air or dust discharging. A closed loop material loading system to prevent the dried material from contacting with outside air so to avoid damping. TDL integrate drying and single loading into one unit,adopts temperature controller to accurately control temp.24-hour timer is available for choose. Usual base and single tube suction box are standard accessories. Hopper is ready for polishing so to ensure no material pollutions. Hot air recycler,blower inlet filter,airfilter,cyclone dust collector,magnetic base,hopper magnet, Euro suction box as your options. Can match with TAL-900G to realize the two-stage loading function. 1 )Auto-timer, adds "T" to the back of the model. 2) Magnetic base, adds "M" to the back of the model. 3) Double insulated layer, adds 'T' to the back of the model. 4) 180 high temp. Model, adds "H" to the back of the model. 5) Euro safety regulation, adds "CE" to the back of the model.